So I have had a couple Alan Grantz books on my TBR list for what feels like aaaaaages. A friend and fellow bookworm lent me Projekt 1065 and in true Coco fashion, I finished it in a day. I am certainly a fan for life. 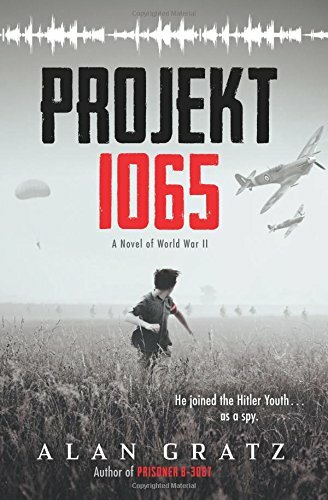 Projekt 1065 tells the tale of a young Irish boy, Michael, living in Nazi Germany in the 1940's. His father (and mother) uses his position as the Irish Ambassador to Berlin to run a spy network for the Allies. With his eidetic memory and quick wit, Michael uses his position within the Hilters Youth program to gain information that may be useful to the Allies. After learning about a top secret project that could turn the tide of the war in Germany's favor, Michael must dance the line between faithful German youth and Allied spy; his life and the fate of the war could depend on his success. I have to say, this book was really phenomenal. Nazi Germany can be a really hard hitting topic to write about, and while not as heavy and heart wrenching as others (think Number the Stars) it was thought provoking and engaging in it's own right. Stories of young people doing extraordinary things always strike a chord with me, especially in the face of adversary or against popular opinion. The inner turmoil Michael faced when witnessing morally unjust actions while trying to remain undercover really made me feel for him, and raised bigger questions like "do we sacrifice one man for the ultimate goal of saving many?" 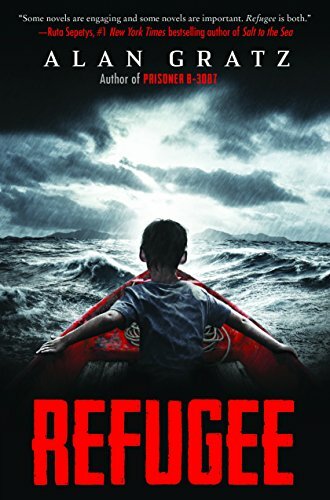 These are hard hitting moral dilemmas that no child should ever have to encounter, but Michael comports himself with strong character and reason, making those hard calls time and time again. The story was action packed, broken into short bursts of chapters which made it virtually impossible to put the book down (the famous last words of any bookworm "just one more chapter!). Gratz has certainly found himself a fan with me and I most definitely be reading more (i.e. ALL) of his work going forward.